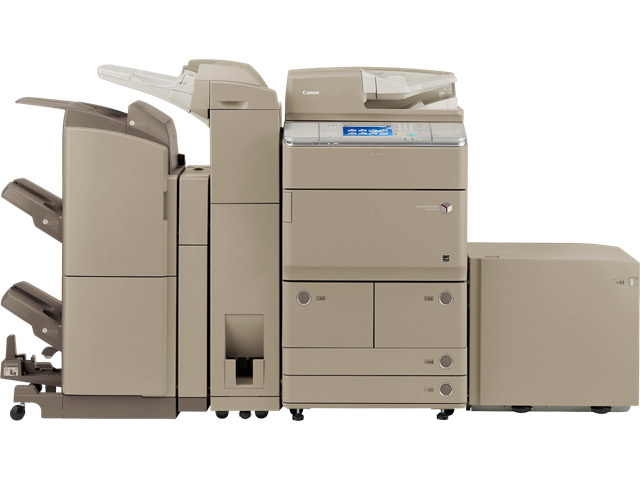 With outstanding speed and efficiency, the imageRUNNER ADVANCE 6065 model meets the needs of large corporate offices and workgroups that demand robust performance. Engineered for high-volume traffic, this digital monochrome model rapidly scans, prints, copy, fax and distribute documents with precision and ease. Advanced management tools and multiple in-line finishing options help produce professional documents with ease. The imageRUNNER ADVANCE 6065 model features a range of collaboration tools, streamlined one-step operations for complicated tasks, and the power to perform multiple jobs concurrently. The imageRUNNER ADVANCE 6065 model delivers output speeds of up to 65 ppm in black-and-white, single pass duplex scanning at speeds of up to 200 ipm (duplex, 300dpi, black-and-white). Offering standard Color Universal Send, UFR II Printing, and a range of paper handling and finishing options, with the imageRUNNER ADVANCE 6065 model, there's a dramatically better way to work. New Advanced imageCHIP system architecture uses two processors to deliver outstanding multitasking performance. Large embedded control panel with ability to add larger upright "Tilt and Swivel" control panel (option) that provides easier viewing and allows users to adjust the UI to a comfortable position. Soft curves and natural soothing color palette create harmony between innovation and your work environment. 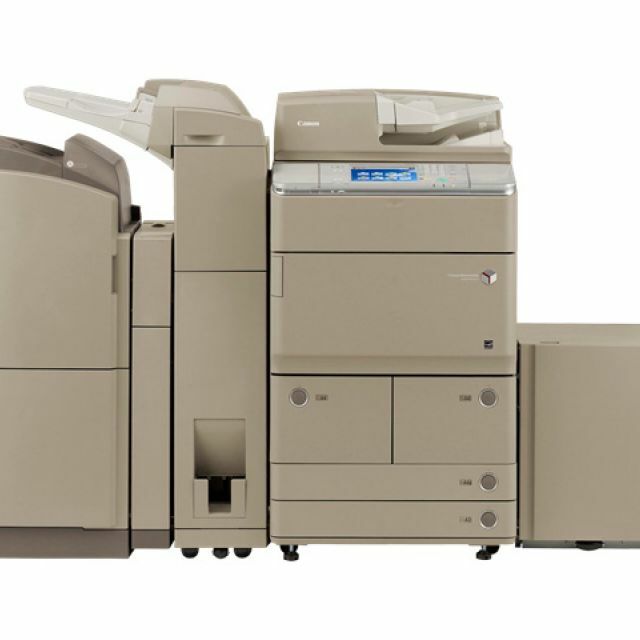 Rapidly convert paper documents to digital files with the 300-sheet capacity, ultra-fast single-pass duplex document feeder with color scanning support at speeds of up to 200 ipm (duplex, black-and-white, 300 dpi). Scan to or print from a USB thumb drive or optional memory media. Enter data more comfortably with the optional USB keyboard. Adobe LiveCycle Rights Management ES Integration protects access to documents throughout their duration. After documents are scanned, specify security policies and select authorized recipients. Reduce costs, increase performance with the ability to streamline workflow. Canon's life cycle assessment system helps to reduce C02 emissions by more than 30% over previous models. Designed with 100% recycled plastic and bio-based plastic for certain components. New pO toner and Induction Heat fusing system help to reduce overall energy consumption by minimizing heat and power requirements.